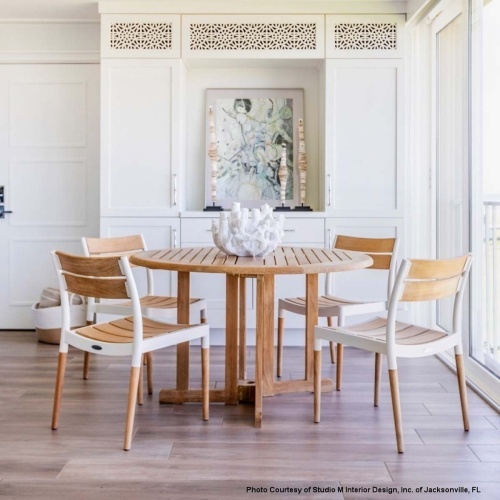 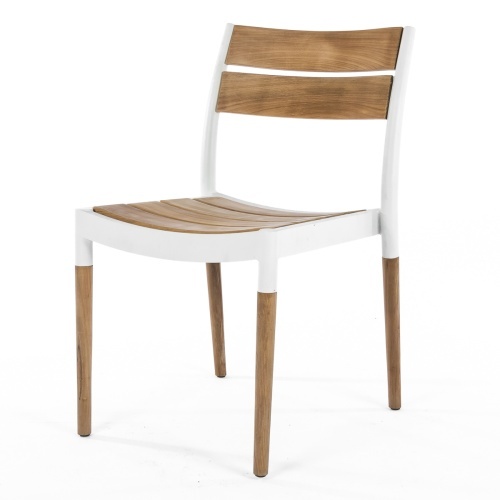 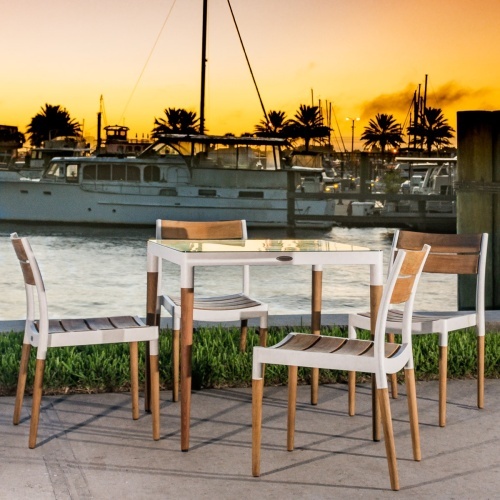 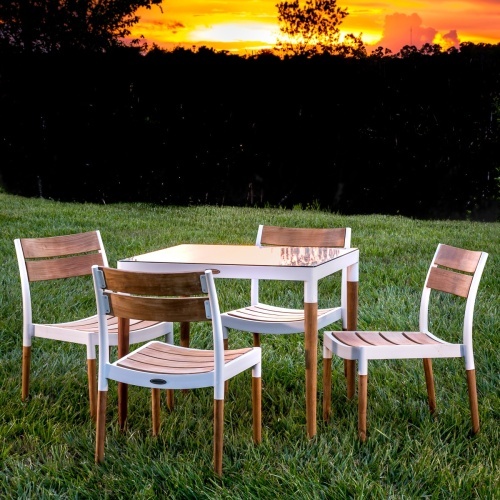 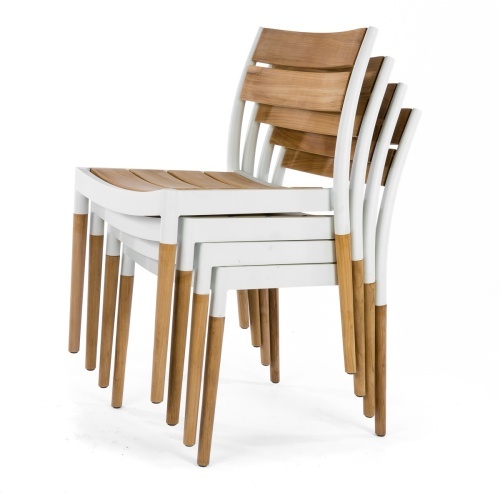 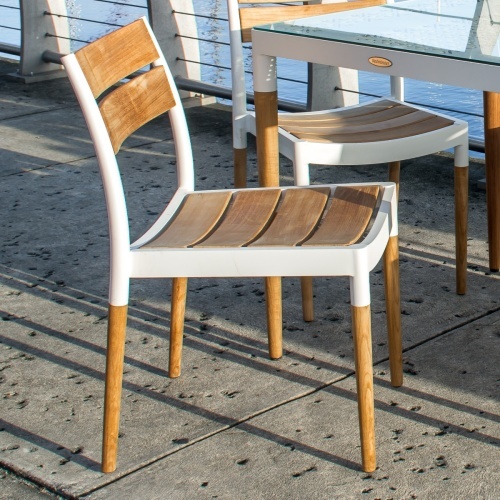 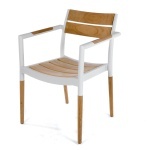 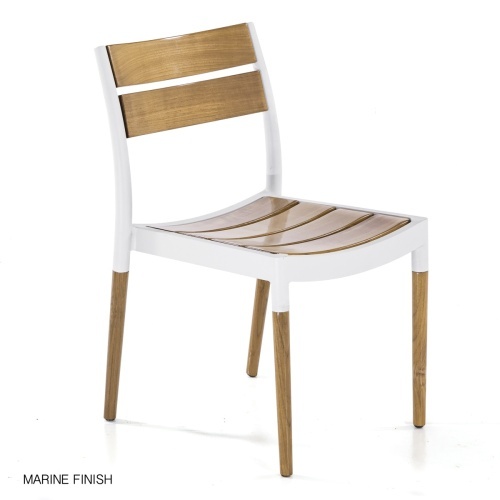 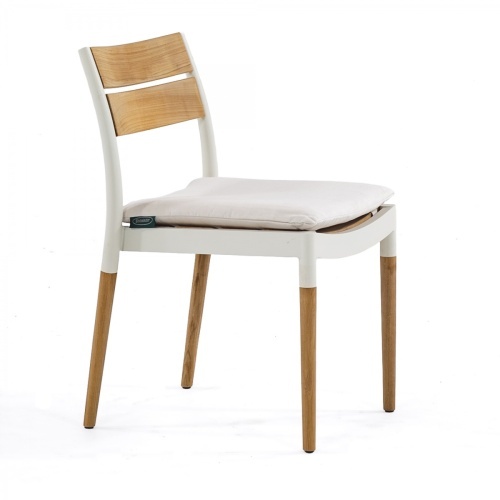 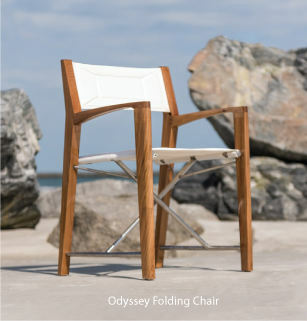 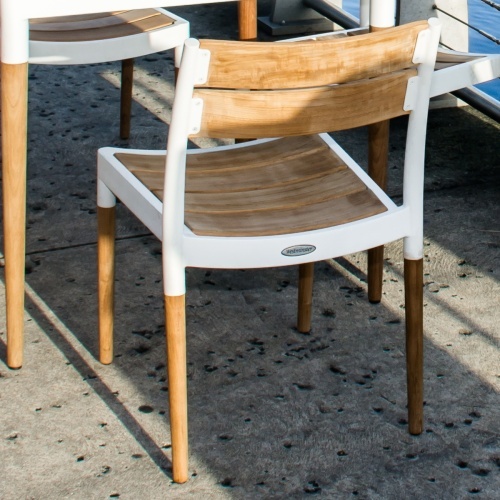 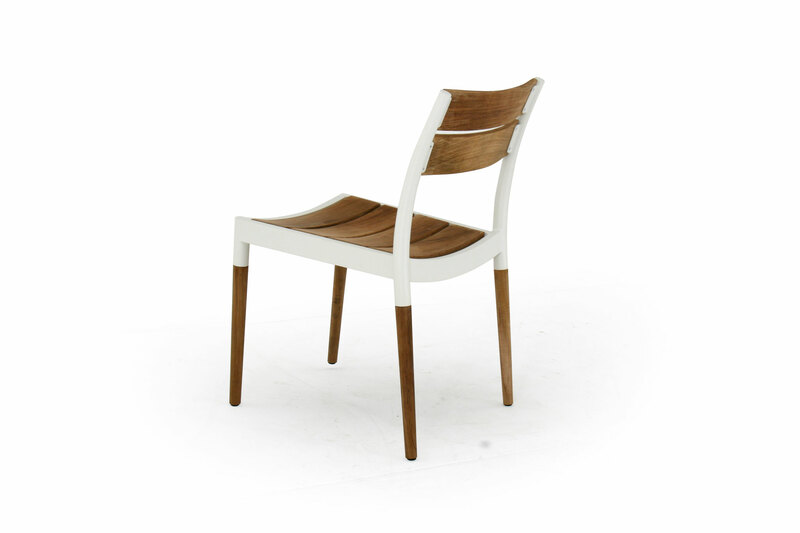 Defined by the stunning contrasts of the cool, fresh white of powder coated aluminum and the warmth of highly buffed teak, the Bloom Side Chair is a welcoming sight from any angle. 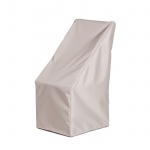 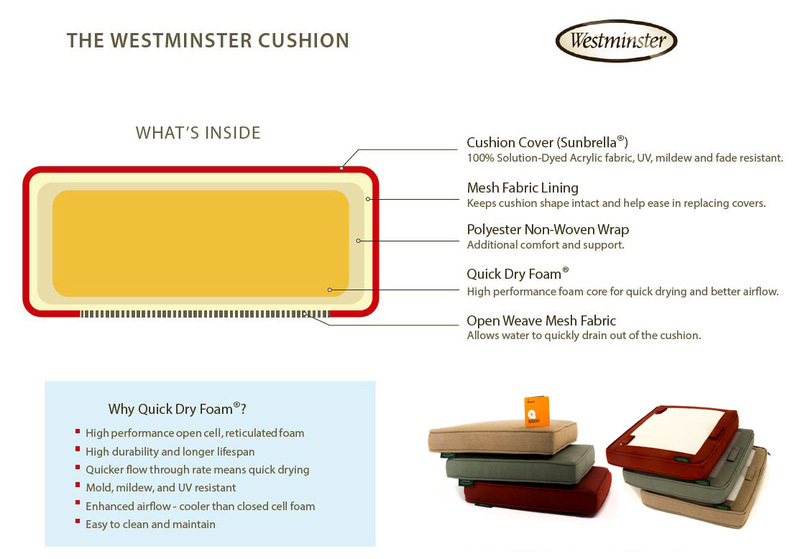 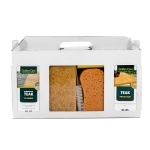 Its contoured backrest and seat offer lasting comfort even without cushions. 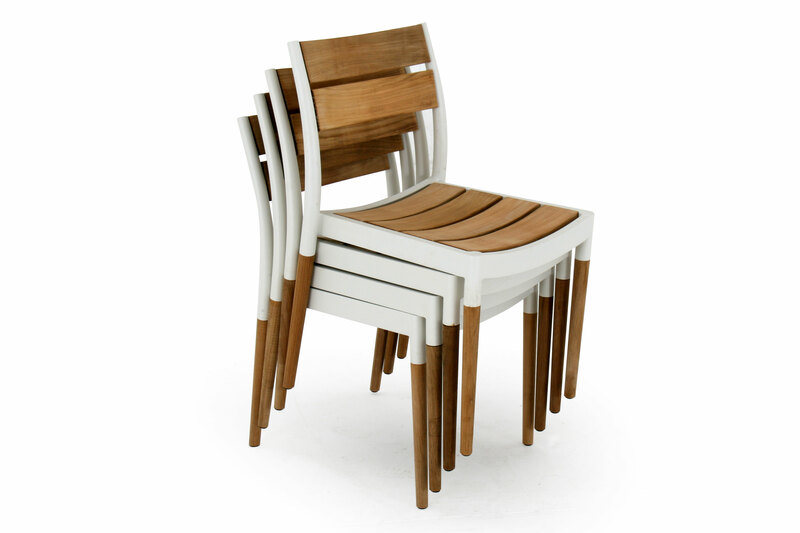 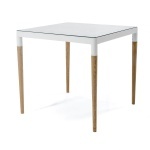 Individually hand turned legs further enhance the sculptural silhouette of the chair, giving it a unique modern style. 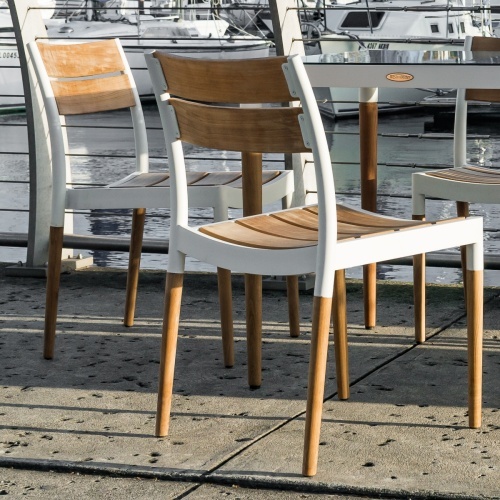 With the impeccable strength of powder coated aluminum and teak, the Bloom Side Chair will endure the test of time and the outdoors.